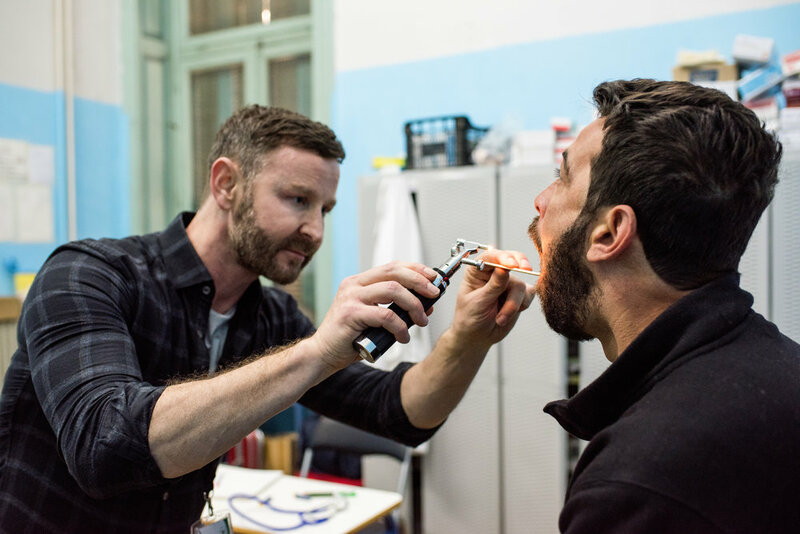 This was my second time in Athens and the plan, as last time, was to help Giving for a Better Future with the work they undertake and volunteer as a doctor in a couple of the squats that have make-shift medical clinic rooms. During my previous visit I had been amazed that thousands of men, women and children are living under the radar in squats in the heart of Athens. With no official help they are surviving solely on donations and voluntary help. The squats have organised themselves into functioning communities providing regular basic meals, clothing, some education and health services. Whilst shopping at the Central Market on the first morning, it was clear that the stallholders knew Arnaud well. They knew what he was coming for: a few thousand eggs, several boxes of bananas and other fruit, not your typical market visit! The 4 x 4 was packed to capacity by the time we left. We drove around the squats to distribute the food and at each one a few teenage boys would appear and help us unload. A few could manage some words of English (more than I could in Arabic) and I was asked where I was from and my name. In the afternoon I helped out in the medical room in one of the squats called Jasmine School. The room has a table, examination couch and a few cupboards of donated medicines with names in Greek, German and Spanish. Deciphering what they were was a hurdle I was not expecting! Luckily a woman living there was able to speak English and as soon as the doors were opened people trickled in. As the refugees often live in rooms of 20 people, it was not surprising that coughs, colds and skin rashes were a common complaint. Diabetes and blood pressure issues are also common too but these conditions are poorly treated or simply not treated at all. The translator told me that whilst there are free government or NGO medical centres, you could expect to wait hours and that people in the squats were frightened of going as they thought that they would risk being arrested. We did whatever we could and most left happy that they had been listened to. What was surprising was that despite the obvious hardship there were more smiles and laughs than in a usual clinic back home.